11 pictures of living rooms to inspire you! A living room is a place to relax and unwind after a long day at work, whether it means spending quality family time together, catching up on your favourite movies or series or simply reading a book, your living room needs to exude your personality, while being comfortable and cosy too. 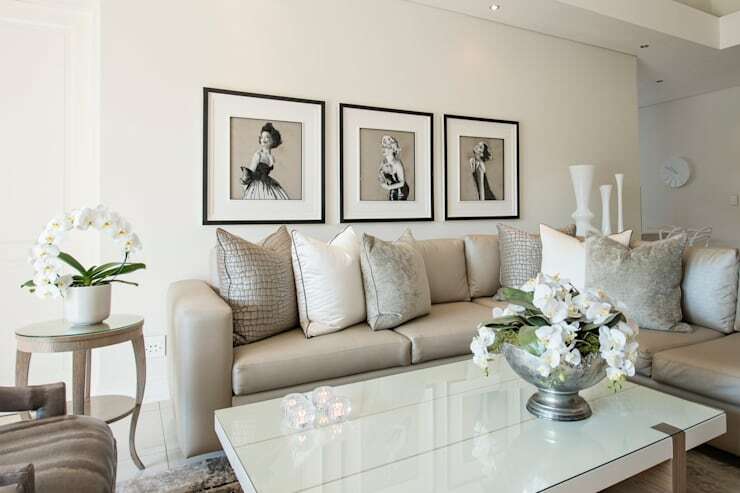 In this homify feature, we look at 11 South African living rooms that are filled with character, but also eye-catching, elegant spaces that modern homeowners can enjoy. 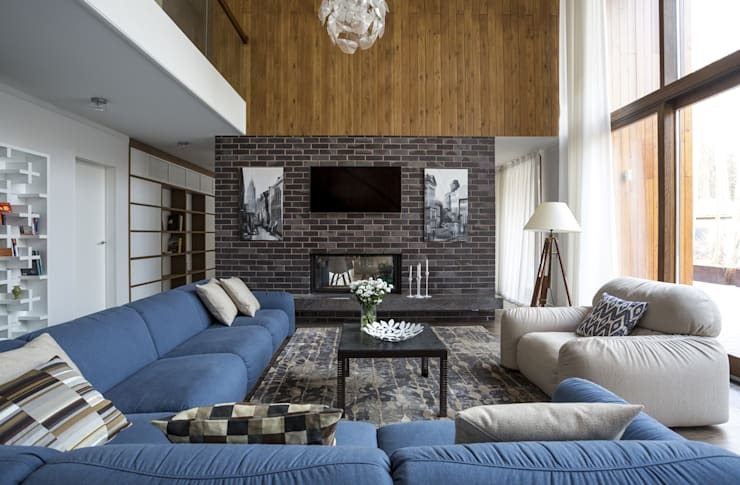 Let's be inspired by these fantastic and attractive living spaces that our team of interior designers compiled, taking into consideration current trends, materials, textures and accents. 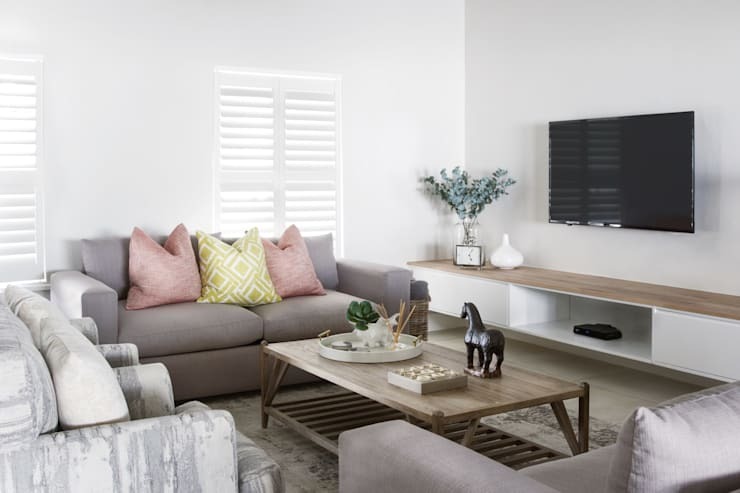 A neutral colour scheme of beige sofa and wooden tables has a contemporary flair when paired with pastel shades, while the white walls maintains a minimalist decor that creates a cosy atmosphere, especially in a living room. A violet shade for your focal wall has a striking effect, especially when paired with a variety of dynamic patterns and neutral accents. Monochrome photographs can be just the shabby chic appeal to make your living room the perfect reflection of your vintage-loving personality. 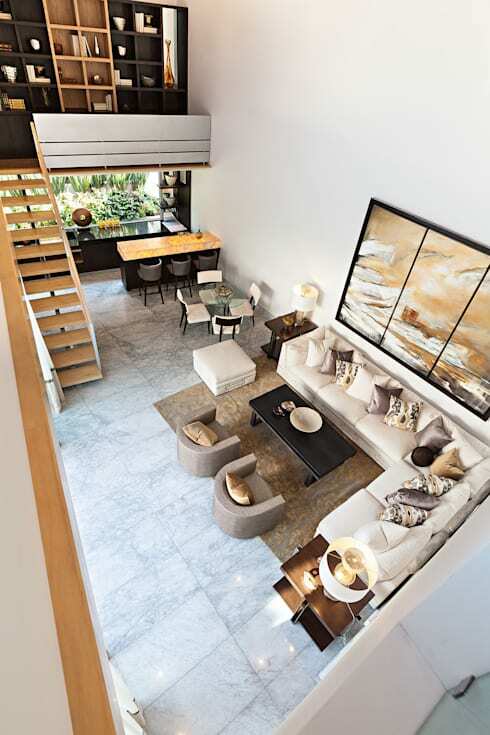 The off-white sofa and glass coffee tables enhances this decor. South African homes often incorporate the stunning landscape into the decor, and this breathtaking sight will leave your guests breathless. The rest of the neutral decor has a seaside theme that fits the view perfectly! 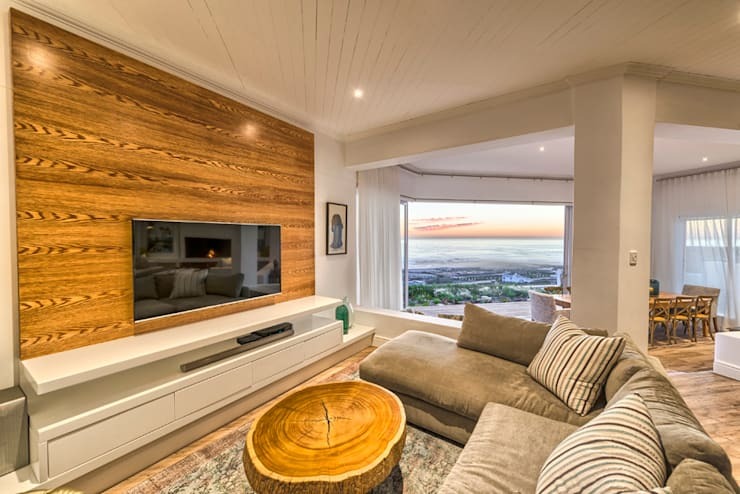 As mentioned before, South African homes are filled with dramatic panoramic views, the living room decor featured here is understated, allowing the exterior to be the main attraction. There's no other material that has both a rustic and modern identity. 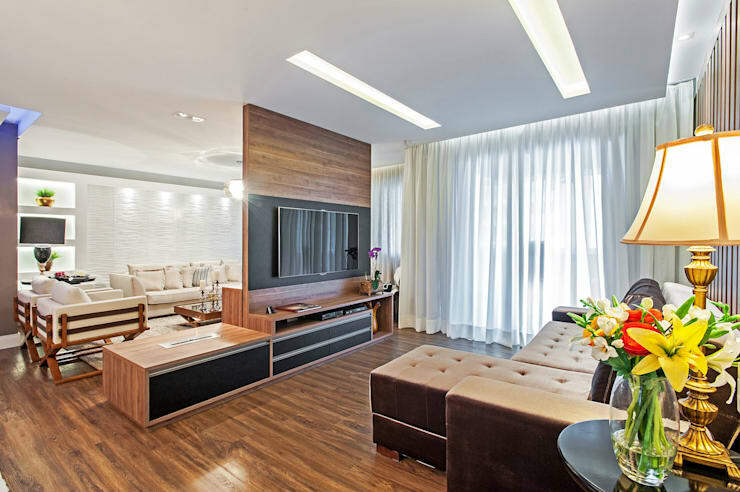 From the flooring to the furniture this living room has a strong and elegant ambiance. 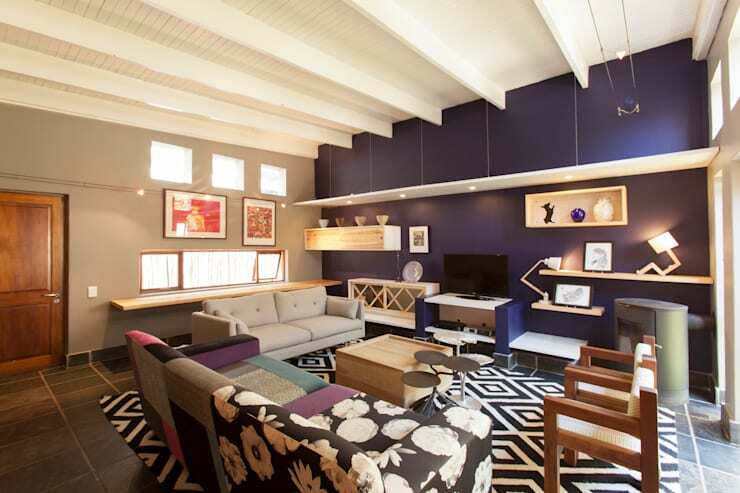 The placement of the TV is just as important as the layout of the comfortable blue sofas in a living room. 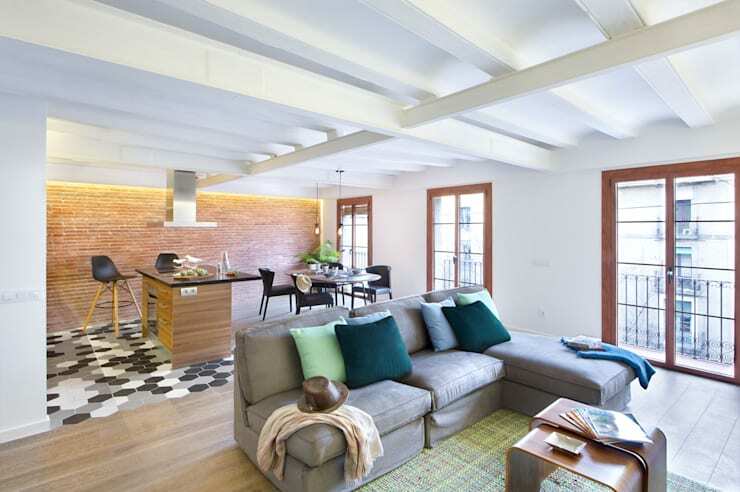 Modern homes seem to be including open plan living, dining and kitchens in one area as the space gets smaller. The layout of this open plan design is simply stunning. The cream L-shaped sofa, striking mural and wooden accents all blend elegantly with each other for a lovely living space. 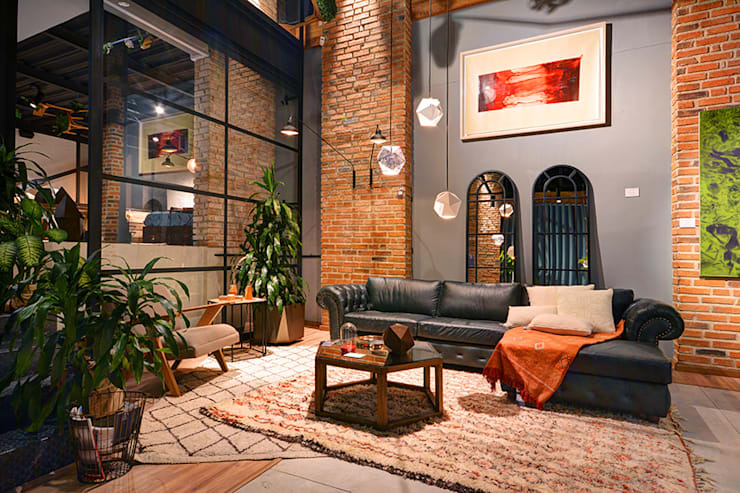 Perhaps you prefer an eclectic or industrial decor with exposed brick walls, high ceilings and brilliant illumination taking centre stage. Which living room are you recreating in your home?